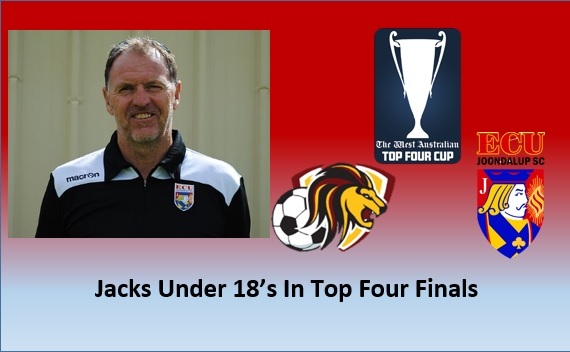 ECU Joondalup raced up the table in the second half of the season and this weekend they take on Subiaco in the West Australian under 18’s Top Four Cup at the ECU Football Stadium on Saturday (10.45am). We sat down during the week to have a chat to Coach Paul Welch, and said the new look squad took time to gel early but have performed really well over the second part of the season. “The 18’s squad was made up of a mixture of players that I had been involved with from the 16/18 squad of 2015 and the 15’s squad of the same year that I had recommended to me and had also watched plus a couple from outside of the club, so pre-season was about getting everybody to get to know each other and a system of play so they gel for the season,” he explained. “We took a while to get going, resulting in us losing the first three games and for the 2nd year running being dumped out of the cup in the first round. Welch said Subiaco will be a tough opposition but he said the players are looking forward to the challenge. “Games between us are generally tight affairs and I expect nothing different this time around. I would not read too much into the fact that we both lost our last games of the season as both teams where already locked into their finals places,” he explained. The Coach said he didn’t want to pick out individuals for praise, he said it’s been a TEAM effort. “All the players need to perform to the maximum of their abilities in order for this team to function properly,” he explained. “It may well be an individual act of brilliance on the day that wins the game but it would be a team effort that gets us too that point, and as they say ‘There is no I in Team.” Good luck to Paul, John and the players.